To lose weight in the summer is much easier and faster than at any other time of the year. This season you can significantly cut back calorie a day diet without experiencing hunger. In summer, people more and actively moving, burning the extra calories. Replace all side dishes vegetable salads. Summer vegetables are readily available. They contain a lot of vitamins that have a positive effect on metabolic processes. 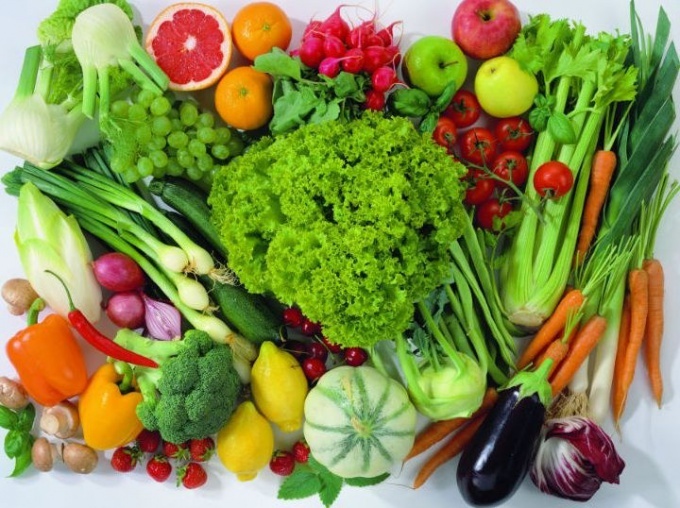 With the summer vegetables contain more nutrients than vegetables that are sold in the winter. Cook vegetables and green salads. They contain few calories, so you can eat them in large quantity. But potatoes have to give up, it contains a lot of starch and slows down the process of weight loss. Include in the diet of poultry, fish or meat boiled, baked, or grilled. Eat wholegrain wholemeal bread once a day - in the morning for Breakfast. Refrain from sugary drinks, soft drinks, fruit drinks. Quench your thirst with cold green tea or mineral water. Eliminate the consumption of alcoholic beverages with high alcohol content. You can sometimes drink light dry wine (but not more than 250 ml). Use as a snacking fruit and berries (except bananas and grapes contain a lot of sugar). Refrain from confectionery. Do not give up summer barbecues during weight loss. Use them for cooking beef, poultry or fish. Marinate foods for a barbecue, not using mayonnaise and other high-calorie sauces. Eat kebabs prepared with herbs and vegetables, no bread. Arrange fasting days, they start the process of weight loss. They should be held one to two times a week. Eat during the day, only one product (watermelon, cucumbers, apples, cheese) and drink clean water (not tea and mineral water). Sometimes you can have a hungry fasting day, during which you should drink only water. Spend more time outdoors. Walk, you walk, ride a bike, go swimming. Swimming is one of the most affordable sports to lose weight, in one hour you can burn 700-800 calories.